Right-click within one of the selected cells, and choose Delete in the drop-down menu that appears. 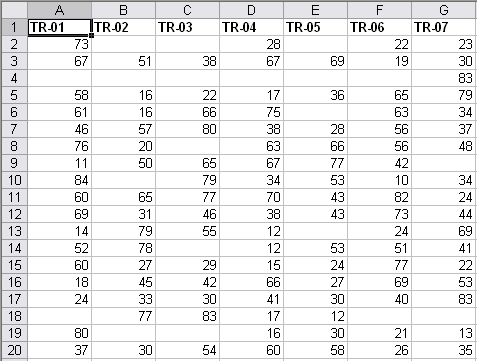 Excel will now ask which direction you want it to shift the cells that remain. In this example, choose Shift Cells Left and click OK . When importing data from another source into Excel, you often encounter some strange formatting, such as parentheses around data. This poses a problem, since manually editing the numerous data entries would take far too long. They all have " and a space after the names and then the note. What I am trying to do is delete the everything after the name. What I am trying to do is delete the everything after the name. I was playing around with macros to try and do this, but could not get anything to work. In a Microsoft Excel worksheet, a cell can be given a name. And it is very EASY to name a cell: You click on the cell, put the cursor in the "Name Box" to the left of the Formula Bar, type a name, and press Enter. I work with Excel and I would like an effective way to remove the #N/A entries. Solution In formulas, you test the occurrence of #N/A using the function IsNA() .